The art of fine dining by Toqué! Looking for a reservation for tonight? If there is no availability on Open Table for the date you have selected, do not hesitate to contact the restaurant by phone. We may have seats available at the bar, be able to add your name to the waiting list or have received a last minute cancellation. Also note that a visit of the kitchen and wine cellar is available upon request. from 11:30 a.m. to 1:45 p.m.
from 5:30 p.m. to 10:30 p.m. Thank you! Your reservation request has been received. We will contact you shortly. Toqué! is pleased to welcome groups and events. Please complete this form to make a reservation request for groups of 10 guests or more. A member of our team will contact you to finalize the reservation. Business hours are flexible for group reservations. Call us for more information. We work with market products and daily arrivals. The exact menu details can be provided only on the day of the reservation. If advised in advance, we can accommodate all allergies and vegetarian guests.Our sommelier has a few options to propose for groups for wine pairings and selections of wine bottles before the meal. For groups who would like to enjoy the exclusivity of one of these semi-private rooms, we may ask for a minimum spend (limited availability on Friday and Saturday evenings). This room can sit up to 20 people on 1 table or up to 30 people seated at 3 tables. This room is hidden behind acoustic curtains and guarantees discretion throughout your meal. This room can sit up to 12 people on 1 table or up to 16 people on 2 tables. This space is lined with large windows with a beautiful view of Place Jean-Paul-Riopelle. 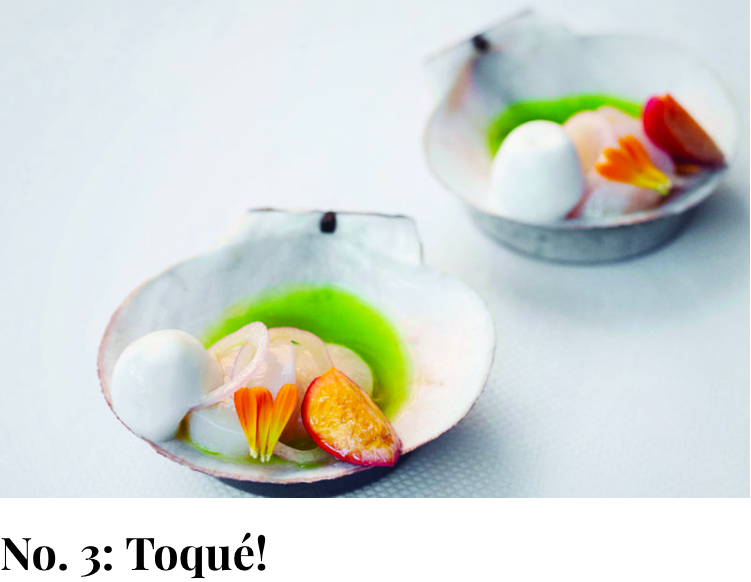 It is also possible to reserve the entire Restaurant Toqué! for a unique and exclusive moment, depending on availability. A 70-inch LED screen is available for rental ($) when reserving Saint-Antoine semi-private room. An outlet to plug in your laptop computer and high-speed Internet are accessible. Contact us if you wish to order a flower delivery at your table!